The Lensic's Free Family Fun Day -- a free afternoon of music and fun for the entire family! Games, crafts, and more start at 2 pm and the concert begins at 3 pm! Nominated for his third Grammy Award in 2018, Justin Roberts is one of the all-stars of the indie family music scene. The hardest working man in children’s show business, Roberts delights with catchy pop tunes that have earned him comparisons to musicians like Elvis Costello, Paul Simon, and Nick Lowe. 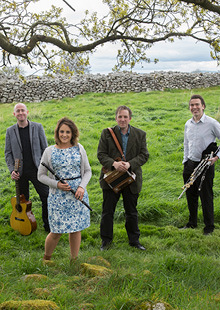 A free afternoon of music and fun for the whole family! Join Pro Musica for a concert that transcends borders. Colombian born conductor Lina Gonzalez-Granados leads the Pro Musica Orchestra featuring cellist Christine Lamprea in a concert inspired by memories. Tickets go on sale Friday, February 1, 2019 at 10am. The Santa Fe Conservation Trust once again brings the spirit of outdoor adventure and mountain culture to Santa Fe. 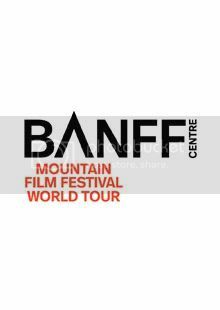 The 2018/2019 Banff Centre Mountain Film Festival World Tour is an exhilarating and provocative exploration of the mountain world, traveling to exotic landscapes and remote cultures, and bringing you up-close and personal with adrenaline-packed action sports. 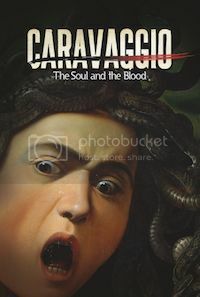 Different films are shown each night, so don’t miss it! $4 off for both nights. Tickets go on sale Saturday, February 2, 2019 at 12 noon. Dahr Jamail is a senior investigative journalist for Truthout.org, where he reports on climate disruption in the Anthropocene, digesting the most cutting-edge scientific evidence for a socially conscious and activist lay audience. His fourth book is The End of Ice: Bearing Witness and Finding Meaning in the Path of Climate Disruption (The New Press, 2018). William Rivers Pitt is a senior editor at Truthout. His books include War on Iraq: What Team Bush Doesn’t Want You to Know and House of Ill Repute: Reflections on War, Lies, and America’s Ravaged Reputation. Santa Fe Youth Symphony Association (SFYSA) students will come together to perform in a collaborative musical showcase. 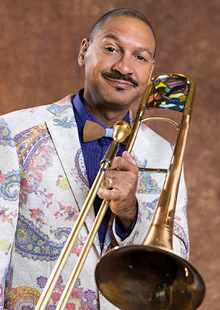 Our third annual 90-minute concert will feature students from the Jazz, Mariachi, Orchestra, and Con Vivo programs, as well as local artists Nacha Mendez, 2018 Platinum Music Award winner, and Jono Manson. SFYSA teaching artists – Elizabeth Young, Ryan Finn, William Waag, Carla Kountoupes, Dorothy Bowers Wu, Chris Ishee and Santiago Romero will also perform! Our theme this year is Silverscreen to commemorate our 25th anniversary season! Enjoy music and production images from Mission Impossible, Harry Potter, Jurassic Park, Spirited Away, Anchorman, The Postman, Coco and more. The concert is followed by a benefit reception at Manitou Palace Avenue Gallery with coffee, dessert, drinks, music and a silent auction of painted violins and instrument sculptures. Advance tickets including reception option are required. As the name suggests, Music for Everyone mirrors SFYSA’s commitment to community access, inclusivity, and more than two decades of inspiring and engaging the youth of Northern New Mexico's multicultural communities through excellent music education, the guidance of music professionals, and performance opportunities. We are honored that Mayor Alan Webber has proclaimed March 14 as a day in honor of SFYSA and this commitment. 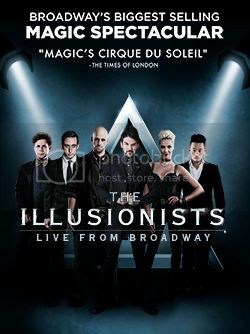 Concert and reception ticket prices: $60 - $90. Concert only: $10 - $40. An evening of comedy from two of improv’s greatest—and stars of Whose Line Is It Anyway? 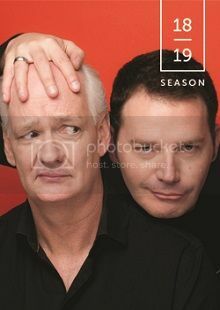 The world’s funniest improv show, featuring the brilliant comic stylings of Brad Sherwood and his addle-brained sidekick, Colin Mochrie. An evening of interactive comedy with big belly laughs supplied by improv icon Colin Mochrie and eye candy for the visually impaired by Brad Sherwood. 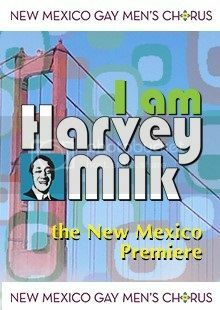 Join us for Lensic After Dark at Cava Santa Fe Lounge @ The Eldorado immediately following the performance. Tickets go on sale Friday, February 8, 2019 at 10am. Tickets go on sale Tuesday, February 5, 2019 at 10am. Psychedelic-assisted therapy has been shown to have positive impacts on a range of psychological conditions, from healing addiction and PTSD, to relieving pain and end of life anxiety. 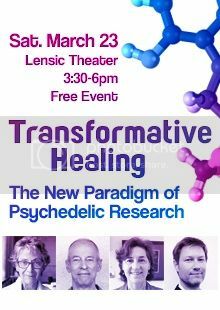 Join us as leading figures in psychedelic research shed light on the growing movement to transform healthcare, dispel long-held myths and present a roadmap for the future of psychedelic therapy. 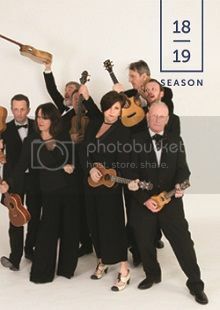 George Hinchliffe's Ukulele Orchestra of Great Britain is a global sensation and nothing short of a national treasure in the U.K. With a career that spans over 30 years, their rise has been from curiosity to virtuosity, from village hall to Carnegie Hall. On an ongoing “hand-luggage only” world tour, the Ukes provide pure entertainment, deadpan British humor, and irresistible, foot-tapping music. 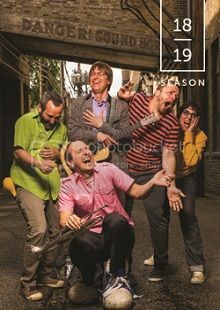 They are masters of the unexpected, whether reimagining folk songs, twisting classical music favorites, uncovering quirky versions of rock covers, or playing the performers’ own all original compositions. Using rapid, iterative feedback between theory and experiments, Srividya Iyer-Biswas works to discover the basic physical laws that govern the probabilistic behavior of single cells, and that transcend details of specific biological systems. Her research uses a top-down physics approach, rather than more traditional approaches that focus on the cartography of genetic networks and on molecular details. Iyer-Biswas and her team have reported predicative scaling laws governing the stochastic growth and division of cells, and have developed a theory that reveals the emergence of a scalable, cellular unit of time. Her current work involves extending these results to thermodynamics of organismal computation, time-dependent phenomena involving cellular decision-making, and laws that dictate complex biological and social phenomena. 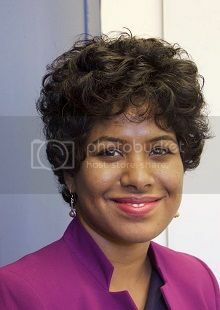 Iyer-Biswas began her career as a theoretical physicist, then transitioned to experimental biophysics as a post-doc at Princeton University and the University of Chicago. Through her interdisciplinary work – combining theory and application, and spanning physics and biology – her goal is to ultimately advance the fundamental physics of living systems. Iyer-Biswas was named a 2017 Scialog Fellow for Molecules Come to Life and has lectured at the University of Chicago and the q-bio Summer School in Colorado. Edwidge Danticat’s many books include the novel The Dew Breaker and Krik? Krak!, a collection of short stories that encompass both the cruelties and the high ideals of Haitian life. 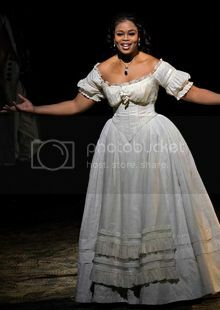 Of her recent The Art of Death: Writing the Final Story, the New York Times wrote, “This book is a kind of prayer for her mother?an act of mourning and remembrance.” Aja Monet is a poet, activist, and musician and was a featured speaker at the Women’s March on Washington. Her books include My Mother Was a Freedom Fighter and The Black Unicorn Sings. 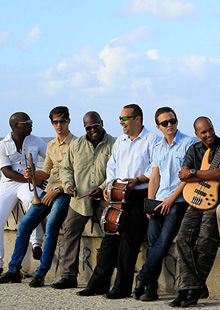 7:30 PM - Performance Santa Fe presents Havana Cuba All-Stars: ASERE! 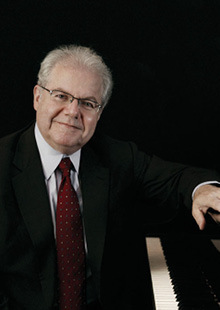 Just as pianist Emanuel Ax makes standard piano repertoire sound fresh and new, so also does he play musical premieres as though he’s known them for a lifetime. 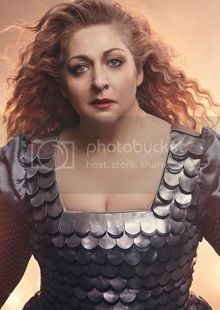 The winner of seven Grammy Awards, Ax is in demand as a soloist with the world’s major orchestras, and as a recitalist in far more intimate settings. His musical depth and understanding is at the heart of his long chamber-music partnerships with such greats as Yo-Yo Ma, Yefim Bronfman, and Itzhak Perlman.